Don’t Rain have been working together with the Indoor Community Skate Park in Newport to create their first ever skateboarding competition. We have blagged some excellent prizes from some amazing companies so be sure you don’t miss out. Check out our poster for all the details and head over to the ICSP Facebook page to check out this excellent venue. 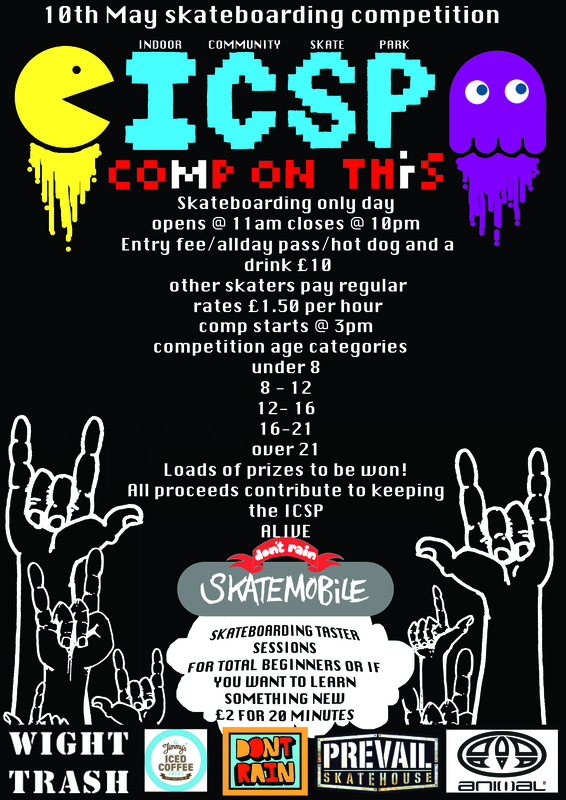 Don’t Rain Skatemobile will be at the event providing skateboarding lessons throughout day. If you know anyone who would like to give it a try then send them our way.